Sell Your House Fast In Round Rock, TX. We buy houses in Round Rock and pay cash. 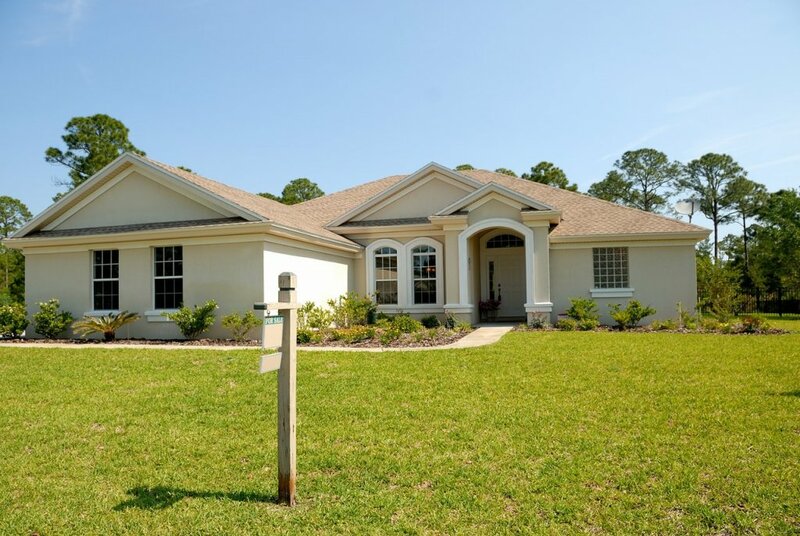 We buy houses in Round Rock fast, in cash and close quickly. Hello! We’re glad you’re here. If you’ve made it to our website, chances are you want to sell your house in Round Rock fast. If this is you, we’d like to introduce ourselves. We’re DHB Holdings and we buy houses in Round Rock from Avery Ranch to Forest Creek in cash. Sound great? Here’s something even better. Even if your home isn’t in the greatest condition or you need it sold yesterday, we’re still interested in taking a look at it and giving you a cash offer! Before we get started telling you about us, we want you to know that we understand you’ve got plenty of options when it comes to selling your property. Which is why we strive to be different. If you want to work with a company that has a great track record of not only selling homes but making clients happy, we check all the boxes. We buy approximately 25-30 houses per year and have zero histories of any terminated contracts. But, we also believe that business is more than a numbers game. It’s about real people and real families. That’s why we don’t close the deal until we know that you are 100% satisfied with our work, process, and what you get out of the outcome. You’re our favorite part of our job which is why we shy away from making offers until we actually get to shake your hand and check out your property in person. Got questions? We have answers. Contact us today if you have any questions or concerns about us or our process. In order to kick off the process, all you need to do is fill out the contact form above which we’ll use to get in touch with you as fast as we can. Then, we’ll chat about your situation, figure out your goals and preferences, and then we’ll arrange a time to come by and see your home in 24 hours or less. Once we’re there, we’ll inspect your home and decide whether it’s good for us. Finally, we’ll give you an offer ASAP and your home will be sold typically within 7-30 days. Having a lot of options when it comes time to sell your home is great, but it can also be very overwhelming at first. So, we broke down for you some of the benefits of selling your home via a home investor, like us, vs selling via a real estate agent. Before we get into the list of pros of working with us, it’s important to understand that anytime you work with a home investor, you’re exchanging a higher offer that a real estate agent could get you for speed, cash, and quality service. That’s why companies like us aren’t for everyone. Again, if you have a real estate list your home on the market and are willing to shoulder some of the responsibilities listed above, you can get a little more profit on the sale of your home. But if the benefits we offer sound good to you and need to sell your home fast, we’ll buy your home completely as-is and give you a cash offer which means less hassle and more convenience for you. Remember how we told you we were different? Well here’s a big reason why. A lot of times, when you sell your property to a home or real estate investor, inevitably there’s a middleman in the mix too. When we say we buy your house, we mean that literally. We’re not real estate agents, we are the end buyer. We meet you, see your house, and give you a cash offer. Plain and simple. We’ll help you sell your house in Round Rock fast (as fast as 7 days!). At this point you’re probably asking yourself, how fast is fast? Here at DHB Holdings when we say fast we mean as fast as 7 days! No situation is the same which is why often times when it comes to speed of the sale, it varies depending on the individual’s situation. But if you’re in a situation where you need to move fast, we’ll work with you and do our best to meet your timeframe. There are several companies who buy homes quickly in Round Rock. So why work with us? We’ve been buying homes since 2011 and we’re also the premier home buyer in Central Texas, so we’d like to think we know a thing or two about the business. Don’t believe us? We buy about 2-3 homes every month which works out to about 25-30 per year! Not only that but also know numerous investors in Round Rock so we also have great connections in your area. Lastly, I’m a licensed realtor with a Master’s degree in Civil Engineering from Purdue University and am a former owner of a HomeVestors franchise. As we mentioned before, we have a great reputation of trust with our clients as in 6+ years, we’ve never failed to pay out a contract. We can even provide you with proof of our disposable funds if that would make you feel more comfortable with working with us! Homes are a huge investment, often the largest one you’ll make in a lifetime. That’s why we completely get that you want to make as much profit as possible when you sell your home. If you get our cash offer and it seems too low, we’ll break it down for you and show you approximately how much you’d pay if you chose to work with a realtor versus selling to us. Once you have that number which includes realtor commissions, closing costs, utilities, mortgage payments, insurance, and etc, we’ll compare it to what we offered you and make sure your getting a fair deal. Typically, our offer is just below a few percentage points of what you’d get with a realtor. How do I sell my house fast, for cash in Round Rock? As you browse around possible home investors, you’ll want to make sure they have the following features so you get the best value of your home. Be sure they’re local. If they’re invested right in your backyard and not all over the country, it shows they’re more concerned about serving the community and improving the market in your area. Be sure they don’t charge any fees or commissions. If they do, in short, they’re cheap. Any quality home investor should be financially sound enough to absorb all the costs associated with buying your home. Be sure they have a good reputation. If they talk a great game but have terrible reviews, you may want to reconsider trusting them to buy your home. If you follow these key pieces of advice, you should end up working with a great home investor who will be able to meet all your needs without making you sacrifice service or quality along the way! Make sure you evaluate any cash home buyers in Round Rock that you’re thinking of working with. Besides Round Rock, we buy cash homes in these other areas in Texas.